In November 2015 I was invited to the program of Asian Smart Living International School in Kaohsiung, Taiwan. In international and multi-disciplinary teams we worked on solutions for Taiwan’s approaching hyper-aging society. A very interesting week in another culture, during which we were able to visit elderly care centers and talk to different experts. 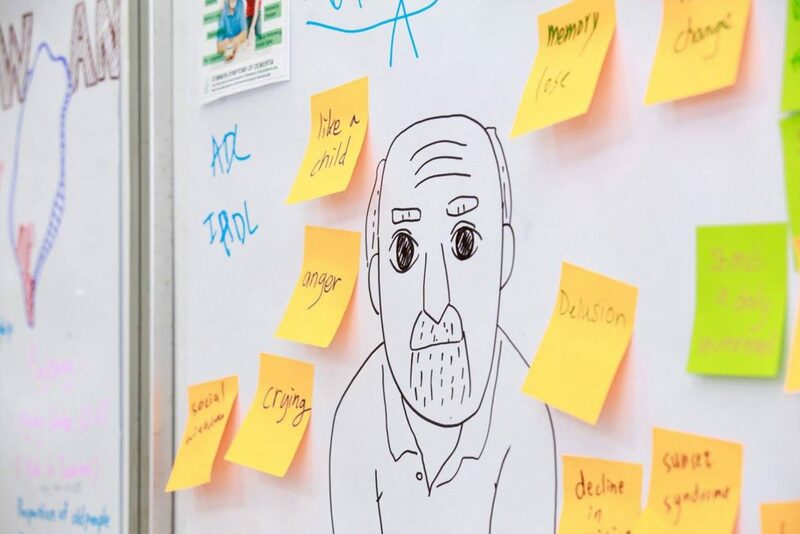 In our service design we focused on making elderly with dementia valuable for society and vice versa, stimulating that society includes elderly with dementia rather than putting them away like a ‘problem’. In this future scenario we propose a ‘dementia stamp’ a brand/ status that can be given to events and organisations that embrace elderly by including them for the things they still can do.